First impressions matter: You want a customer’s early experiences with your brand to be positive and engaging. That’s why it’s important to understand welcome email best practices, especially for ecommerce companies. An ecommerce welcome email is a message that customers automatically receive upon subscribing to your email list or entering their email while making a purchase. It can set the tone for the relationship a customer will have with your brand from that day forward. A welcome email to new customers may tell them what they should expect from future emails, how they can connect with your organization through other channels, and how they can take advantage of your services. They play an essential role in any customer lifecycle marketing strategy. In other words, it’s worth your time to perfect them. 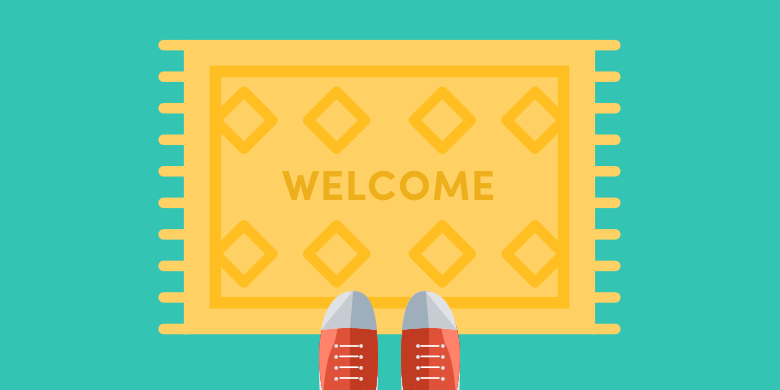 When sending an ecommerce welcome email to new customers, keep these tips in mind for the best possible results. Whenever you send an email to subscribers, you should do so with the goal of convincing them to take a certain action. This can be making a purchase, following your brand on social media, or any other goal you may have for your welcome email campaign. Decide what specific action you want your welcome email to a new customer to trigger. Sometimes, this type of early message may simply encourage customers to learn more about your company’s story. However, an ecommerce welcome email can also encourage a customer to take a more concrete action, like making a purchase or signing up for a service. Compared to other promotional emails, a welcome email campaign results in 9X more revenue, on average. Sometimes, the actions you want customers to take during the early stages of their relationship with your brand may be numerous. On the one hand, you might think you can convince a subscriber to buy a product with a welcome email. On the other hand, you may also want them to engage with your company on social media, read a particular blog post about the company, or align with your brand along other crucial points of the customer lifecycle marketing strategy. Trying to incorporate all those calls-to-action in one email isn’t always feasible. In instances like this, it often makes sense to launch a full welcome email campaign. Organizing your goals into multiple emails using welcome email best practices prevents you from overwhelming a subscriber with too much information. That said, if you only have one or two goals you want to achieve with your customer lifecycle email marketing, sending just one welcome email may be the better option. Assess your plans before choosing whether you’ll send one email upfront, or several. Customer lifecycle email marketing involves making sure your brand’s interactions with each customer are appropriate and relevant. Different customers may be at different stages in their relationship with your company; you want to make sure you’ve accounted for this when sending emails. For instance, customers who have never made a purchase, but have subscribed to your email list, may appreciate a general welcome email that summarizes your services. Customers who aren’t on your email list but have made a first-time purchase may respond to a welcome email that encourages them to subscribe for future offers. Meanwhile, customers who are on your email list and have also made a first-time purchase may react more positively to an email that rewards them with discounts or related promotions. People respond to personalized emails. In fact, dynamic content is 65% effective when integrated into an email marketing strategy. That’s why it’s smart to include a subscriber’s name in a welcome email subject line. It’s also why you should consider segmenting your list, so different types of customers receive different types of emails. An ecommerce welcome email is part of an overall lifecycle email marketing strategy to sell more products. However, that doesn’t mean you should send a generic “Buy this item!” message to every new subscriber or customer. By keeping these welcome email best practices in mind and testing different strategies, you’ll be much more likely to execute a campaign that yields a big return on investment.